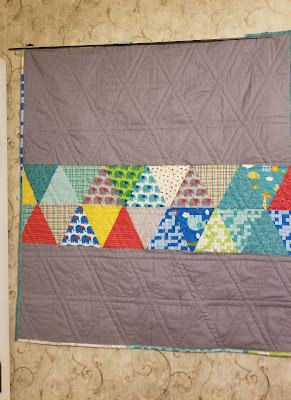 We are alive and have been quilting, we just haven't been blogging. We have posted several pictures to Instagram, and a few to Facebook. You are probably going to get overwhelmed with finishes in the next little bit, but not as many work in project posts. 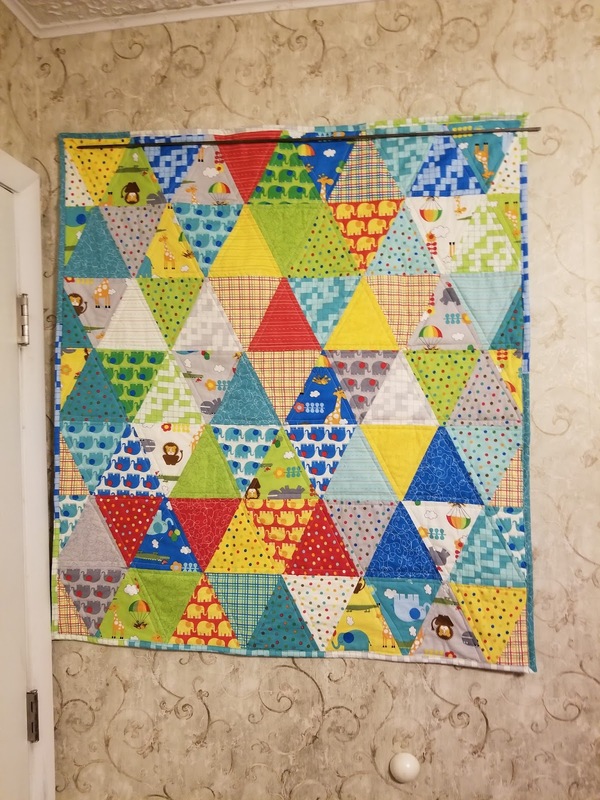 This quilt top is made completely from our stash. It is from the fabric line Bungle Jungle. We did have to buy some gray fabric for back. It was made in September of this year for a baby shower. It was made for somebody from churches new baby boy. These triangles were cut 2-3 years ago. 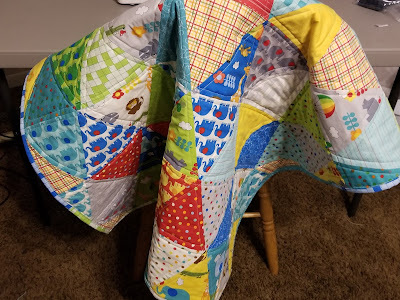 We did a scrappy binding with leftover fabric. The couple we gave the quilt to love it. They have posted several pictures of their son on this quilt on their Instagram pages. Does it make you feel better for someone to display your quilt or for them to use it? We like it when they use the quilt. I agree - let baby use the quilt. This one is darling, Richard. I like it better when they use it too! I like it when they use it, too, but display is okay. Sticking it in a drawer or closet - not so much my favorite thing. 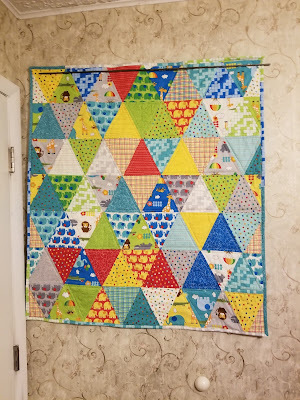 =) This is a really happy baby quilt, and I like what you did for backing and binding. Welcome back to blogland. 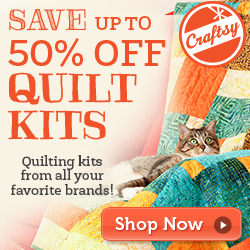 Yes, I want the quilts I make to be used and appreciated. That is why I make them.